A self-described “data and climate nerd,” Angela K., a recent recipient of a Christianson Grant, believes data is critical to fostering cultural understanding and fighting climate change. "When I tell Americans that I grew up in a Korean household in South America," Angela said, "it helps to explain that there are actually 30,000 of us in Sao Paolo alone. Numbers help to validate our own experiences and give us the words to explain them to others." Through this lens, Angela will intern with the United Nations Environment Programme in Kenya with the support of an InterExchange Christianson Grant. She’ll spend six months gathering data for the UN Sustainable Development Goals (SDGs) Online Database. The 17 SDGs are measured using 232 indicators. Angela’s project entails contacting data centers in different countries to gather information for these indicators. "I believe that my specific internship assignment will increase cultural understanding by increasing the transparency of data indicators, especially from countries that have remained invisible," she said. Angela joins Sarah Rachel G., another inspiring Christianson Grantee, who is volunteering in Mexico to help vulnerable communities access vital healthcare services. The InterExchange Foundation awarded more than $12,000 to this third cohort of 2018 grantees. Read on to learn more about how these motivated young women are positively impacting the world! 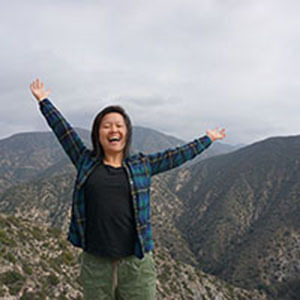 Angela K.’s passion for environmental work blossomed in college. After volunteering with the Sierra Club, Global Environmental Brigades, and serving as a Climate Fellow with AmeriCorps, she wanted to be part of the increasingly global movement to fight climate change by interning with the United Nations. Here she’ll marry her environmental activism with her other love—data. During her six-month internship with the UN Environment Programme, Angela will gather data for the UN Sustainable Development Goals (SDGs) Online Database. The 17 SDGs are measured using 232 indicators. Angela’s project entails contacting data centers in different countries to gather information for these indicators. The assignment includes increasing data access about countries that currently lack data. "I can’t wait for my project to start! Besides moving halfway across the globe and learning about a completely new culture, I’m ecstatic about starting my work with the UN Sustainable Development Goals team. Through my project, I’ll be able to learn how different countries are meeting their development goals and I’m very excited about sharing that information with others." How can we support and empower vulnerable populations to obtain critical healthcare services? Chiapas is the southernmost state in Mexico; it’s also the poorest. Communities in the sierra, or the mountainous region, are geographically isolated and lack economic opportunities. Compañeros en Salud (CES), the Mexican branch of the NGO Partners in Health, connects these isolated and impoverished areas to necessary healthcare services by supplying doctors to local clinics and employing community healthcare workers. These community healthcare workers, or acompañeros, are women from the communities who support more than 500 pregnant women and patients with chronic diseases, such as diabetes, hypertension, and depression, by conducting home visits. Sarah Rachel G., a recent Duke University graduate, aspires to provide healthcare to Latino immigrants and other vulnerable populations in her home state of New Mexico in the future. To best serve her future patients, she is spending one year in Chiapas working with CES to gain a first-hand experience of how organizations and individuals can best serve vulnerable populations. Sarah will support, educate, and empower acompañeros by traveling to different communities to teach continuing education courses on basic health topics that pertain to their patients and accompanying them on home visits. 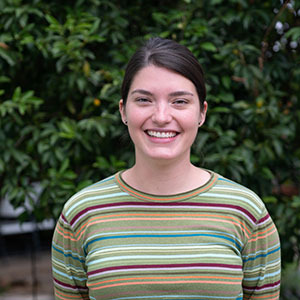 "In this project, I’m looking forward to working with the women who advocate for better health outcomes for their neighbors as community health workers in the rural mountains of Chiapas," Sarah told us. "I hope to learn from them so that I, too, can advocate for better health in my communities and throughout my career." The Christianson Grant is awarded to U.S. citizens between 18 and 28 who have independently arranged a service project abroad for at least six months. Selected grantees receive up to $10,000 in funding.